I am 43. I survived a hemorrhagic stroke to my right basal ganglion on June 4, 2015. I am in great shape. I do not smoke. I play rugby and eat lots of fish and do all the other crap I’m supposed to do. Tough sh*t — genetics and low good cholesterol did me in a bit. Since then I have struggled, when asked, to explain to others how my life is different. Maybe I should have been convincing them of the many ways I have remained the same. I believe this is somewhere between 2 year-old and pre-kindergarten math these days, but it illustrates my point beautifully. Most people understand this equation and concept. Most people can recite it with conviction and self-assuredness. It is easy to remember — even backwards. I am “10.” You are “10.” The dog next door is “10,” and your ex is also “10,” unfortunately. That’s it! Simple. The sum of the parts is the same for me, a complete 10. The parts have changed, but 10 is no less than before, no matter how it is written. No matter how many variations are introduced. Why? Because an equation is not so unless it is equal. The contents on the right side must equal the sum on the left. In other words, the before must equal the after. It might look different, but it is the same. I may walk and speak and write and appear to be different, but inside I am the same Jill. We are always the sum of our parts. We are always a 10. 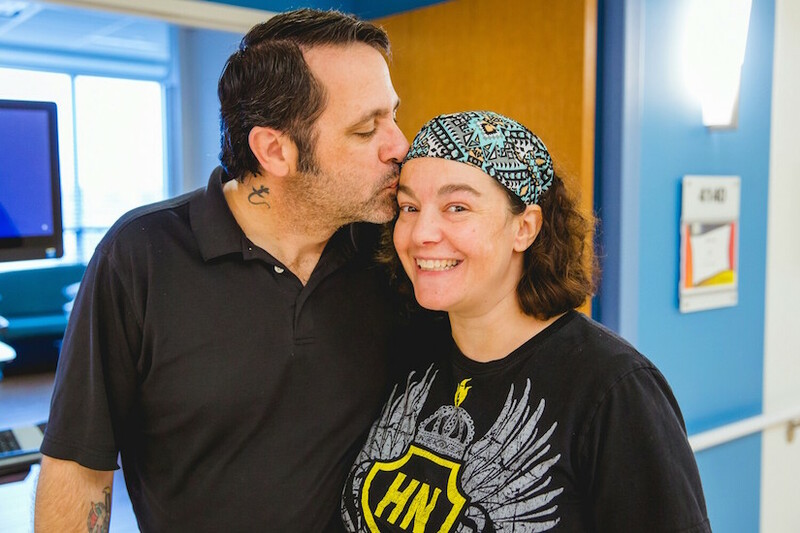 Jill became a hemorrhagic stroke survivor and newlywed all in 2015. She is still reshuffling my mental deck, usually on a daily basis. Every day is a gift and brings her something new.